Filling forms or typing long messages can be a pain on mobile devices, and sometimes you don’t have much of a choice. 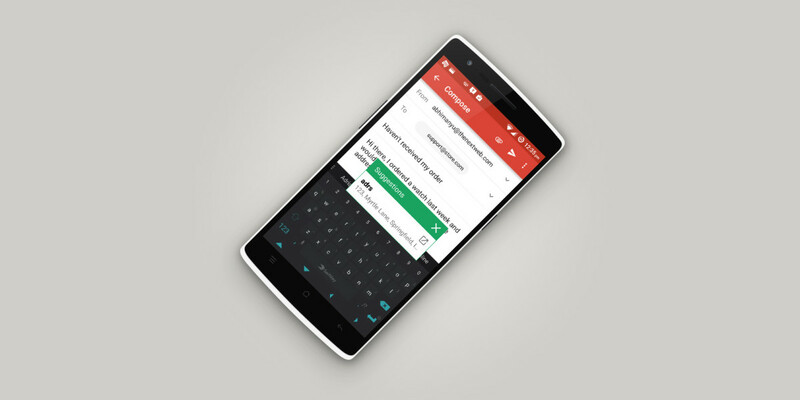 Texpand aims to lighten your load by expanding text shortcuts as you type, in just about any Android app. All you need to do is create a few shortcuts and enter the phrases you want to associate with them. For example, I use ‘adrs’ to quickly fill in my street address, and ‘ag’ for my full name. Once you’ve set up your shortcuts, just key them in while you’re typing in any app and Texpand will display a floating icon above your keyboard — tap it to fill in the lengthy phrase instantly. Texpand also displays suggestions for shortcuts in the same way as described above, when you type their first few characters — so you don’t have to worry about remembering shortcuts exactly as you created them. The app supports dynamic values as well, so if you need to enter today’s date, the current time, or even your clipboard data, you can set up a shortcut for those by choosing from a list of commands. You can also back up your list of shortcuts to Google Drive and use them on your other devices or retrieve them after a factory reset. While Texpand works great most of the time, it doesn’t play nice with browsers because of Android’s API restrictions, which is a bummer. It’s also worth noting that certain keyboards like Fleksy support text expansion. However, if you use apps for work or that require a lot of repetitive input, or message contacts frequently, Texpand is pretty useful. I like being able to quickly ask, “Where are you?” and say “I’m outside, let’s go,” just by typing two characters. The free app lets you save up to 10 phrases, but you can opt for the $3 paid version if you need to store more. There are other apps like Texpand, but it gets my vote because it works unintrusively and doesn’t require you to switch between apps or keyboards.